My basic frustration with my interlocutors on the immigration question is this: is access to the U.S. economy a fixed pie or not? If you’re arguing that it’s not, you will lose every political debate, because U.S. citizens don’t believe, rightly or wrongly, that everyone in the world should, by virtue of being a free and equal human being, be allowed to work and settle in the U.S. If you’re arguing that it is, we get into thorny questions of what kind of immigration policy we should have and how we should go about implementing it. This passage left me scratching my heads. Reihan carefully avoids answering his own question here, but reading between the lines, he seems to be conceding that the pie isn’t fixed. However, he argues, “immigration doves” like me (and, he claims, himself) can’t afford to say so because the general public can’t handle the truth. This is a deeply un-Salamian position to take. One of the things that makes Reihan’s work so delightful is his contrarian streak. If fixed-pieism is false, then Reihan, of all people, should be willing to say so even if the argument is a loser at the polls. With that said, I actually agree with his assessment of the political climate. The low level of economic literacy among the general public makes it extremely difficult to convince voters that the American economy could gracefully accommodate much higher levels of immigration, even though that’s what the evidence shows. But that’s precisely why it’s important that the immigration debate not be primarily a debate about economics. The beauty of the DREAM Act, and Jose Vargas’s campaign on its behalf, is that it focuses the debate on concrete injustices perpetrated against specific, sympathetic immigrants. It’s much easier to whip up public anger about “illegal immigration” in general than it is to defend the deportation of an individual immigrant like Julio Hernandez. Now, Reihan wants me to explain what I would consider an “acceptable immigration enforcement regime.” But I think this is the wrong place to start the analysis. No conceivable set of enforcement measures can enforce our current, broken immigration rules; that’s one of the reasons we need to change them. If we did a better job of welcoming immigrants who will make positive contributions to our economy and the federal treasury, one of the happy side effects would be that it would be a lot easier to deport the minority of criminals and deadbeats we really don’t want in our country. But more generally, I reject the proposition that unless I’ve developed a comprehensive immigration reform agenda, I’m not allowed to make value judgments about individual parts of the immigration system. It’s obvious that Jose Vargas should be allowed to stay in this country. The exact details of how we accomplish that—whether we pass the DREAM Act, raise the quota for skilled Filipino immigrants, grant blanket amnesty, etc—is a question that reasonable people can disagree about. But our current immigration system is indefensible, as is the large number of people who seem to believe the top priority is to crack down even harder on its victims. I also want to endorse Adam Ozimek’s response to Reihan’s arguments. There’s a long-running argument between the left and right about whether economic policy should focus more on efficiency questions or distributional questions. At the risk of oversimplifying, progressives tend to focus on inequalities of income and wealth, and they worry that unfettered free markets will funnel too much money to the wealthy few and leave the rest of us behind. Conservatives counter that the economic pie is not fixed. Leaving people free to innovate will expand the pie and ultimately benefit everyone. And conversely, government interventions in the economy designed to to make peoples’ slices more equal in size will shrink the pie and leave everyone worse off. And conservatives have another powerful argument against the government picking winners and losers. Like Jefferson, they believe that our rights come from God, and are only recognized, not granted, by governments. They reject progressive theorists like Cass Sunstein who argue to the contrary. This is why they’re so vehemently against progressive taxation; they believe that everyone is entitled to the fruits of their own labor, and that it’s unjust for the government to take from some to give to others in the name of fairness. Punishing a minor by removing him from the culture he’s adopted as his own, for the crimes of his parents, does strike me as fundamentally unfair. But what liberals leave out of this story, time and again, is a competing — and in my view overriding — unfairness. Reihan has argued repeatedly, and effectively, that we should treat access to the U.S. economy, not to mention its extensive welfare state, as a scarce resource. We can debate and debate the best way of distributing this resource– from “not at all” to “come one, come all” and everywhere in between. But distributing it based on who manages most successfully to violate the law, at the expense of would-be immigrants who are honoring the process, is surely not a valid option. Apparently, when the topic turns to people born outside the United States, all that stuff about expanding pies and inalienable rights goes out the windows. Now the pie is fixed—a “scarce resource”—and it’s up to the government to decide who is eligible for a slice. People are no longer endowed by their Creator with the right to keep the fruits of their labor. Rather, the freedom to earn a living must be carefully “distributed” by the government only to those it deems worthy. Liberals like my friend Matt Yglesias like to argue that conservative rhetoric about freedom and individual rights is a cynical cover for policies that serve the interests of the rich and powerful. I think he’s wrong, but passages like this one do give his argument a certain plausibility. As Erik Kain notes, the point I made yesterday isn’t limited to the telecommunications industry. It applies with equal force in banking. A good example of this principle at work is Cato scholar Lawrence White’s 2004 call for greater regulation of Fannie Mae and Freddie Mac. White argued that full repeal of these companies’ various state-granted privileges would be the best way to deal with these entities. But given that that was unlikely to happen he advocated more aggressive regulation as a second-best alternative. In retrospect, it’s obvious that this was the right position to take. The same point applies to the “too big to fail” banks. In an ideal world, the bailouts wouldn’t have happened and most of these firms would be emerging from bankruptcy around now. But we don’t live in that world, and we’re not likely to get there before the next financial crisis. Probably the most important moment in last year’s fight over banking regulation was the failure of the Kaufman-Brown amendment, which would have established a maximum size for banks in an effort to forestall future “too big to fail” problems. It was supported by a handful of savvy conservatives like Tim Carney, but most free-market conservatives and libertarians ignored it. I’m not going to point any fingers, since I was barely paying attention to the financial reform debate myself. But I do wish more supporters of the free market had followed Carney’s lead. Everyone knows that the contemporary telecom debate pits free-market opponents of regulation against progressives who want a more activist government. But if that’s what you’re expecting, then the 1970s and early 1980s look very puzzling. You had the Democratic Carter administration and left-wingers like Ted Kennedy pushing to deregulate major industries. And you had a government crusade to break up Ma Bell that was launched by the Republican Ford administration and completed by the conservative Reagan administration. To understand what was going on, we have to look back even further in history. The transpartisan enthusiasm for these policies emerged as a reaction to an ideology that will seem alien to modern observers. For the majority of the 20th century, this reining orthodoxy held that central planning was efficient and too much competition was destructive. Tim Wu called it Vailism, after the AT&T president who convinced the federal government to make AT&T a regulated monopoly. And it’s closely connected to James Scott’s concept of high modernism. This ideology shaped much of Franklin D. Roosevelt’s New Deal. His National Recovery Administration had as its explicit goal to help industries form cartels so they could raise prices. That sounds insane to modern ears, but it wasn’t an aberration; the same attitude underpinned much mid-century policymaking. The Roosevelt administration created or expanded a number of government agencies, including the Federal Communications Commission, the Interstate Commerce Commission, and the Civil Aeronautics Board, which openly discouraged new entrants into the industries they regulated in order to prop up the incumbents’ profits. The high modernist consensus against competition only started to unravel in the 1960s when economists like George Stigler documented how economically damaging these anticompetitive policies were. In the 1970s, their arguments started to make an impression inside the beltway. 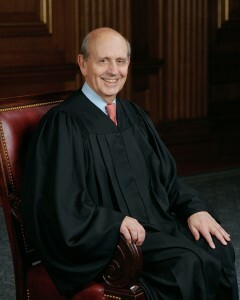 When Stephen Breyer took a break from teaching law at Harvard to work on the Hill for Ted Kennedy, he brought the emerging academic consensus with him. Libertarians (including this one) like to point this out to liberals as a kind of “gotcha” story: even Ted Kennedy supported deregulation. But it’s important to remember that this coin has two sides. It’s equally true that even the Reagan administration supported the breakup of AT&T. And that’s not all. Consider the Computer Inquiries, a series of regulations designed to prevent AT&T from dominating the nascent market for online services. It will surprise no one that this activist, big-government regulatory project was inaugurated by the Johnson administration. But it didn’t end with Johnson. The process produced three major orders over almost two decades, and there was remarkable continuity among the Johnson, Nixon, Ford, Carter, and Reagan administrations. This consensus—repeal anticompetitive laws while actively protecting new entrants from the incumbents—survived the AT&T breakup. Indeed, the 1996 Telecommunications Act, which was passed by the conservative Gingrich Congress, is based on the same basic intellectual framework. It relaxed various restrictions on telephone and cable companies entering new markets, while simultaneously instituting an “unbundling” regime that forced incumbent telephone carriers to lease parts of their networks to competitors at regulated rates. This might look like a philosophically confused mixture of deregulation and re-regulation, but I don’t think that’s how the legislation’s authors saw it. Rather, the unifying theme of the act was competition. Both the regulatory and deregulatory provisions of the bill were designed to increase the number of firms in various telecommunications markets. That consensus has evaporated over the last 15 years, replaced by the pro- and anti-regulatory camps that are so familiar today. My sympathies are generally with the anti-regulatory camp, but I’m starting to think we’ve lost some important insights from that earlier consensus. Once a “private” company becomes deeply intertwined with the state, it can be difficult to ever fully separate them. Formally repealing state privileges may not fully undo the damage if the incumbent continues to enjoy the fruits of past favoritism. And incumbents can leverage their intimate knowledge of the regulatory process—and decades of political capital accumulated from past interaction with regulators—to twist facially neutral regulations into weapons against their competitors. This means that deregulated incumbents like AT&T and Verizon may never become fully private entities. And so a truly free-market agenda requires more than just reflexively opposing all government interventions in the telecommunications market. The government is not monolithic. Sometimes (as with the AT&T breakup and the Computer Inquiries) one part of the government works to check the harmful policies of another. This principle is complicated, and reasonable people are going to disagree about how best to apply it. But one of the most obvious ways to check the power of incumbents is by making sure they have plenty of competitors. Competitive markets make regulators’ jobs easier because they force companies to serve consumers well even when regulators aren’t watching. So if regulators see a nice, clean opportunity to preserve or expand competition, they should probably take advantage of it. The market and the political system are not separate, hermetically sealed spheres. It’s obvious that regulatory decisions shape the evolution of the market, but the evolution of the market shapes the options available to regulators. Promoting competition today will strengthen the case for deregulation tomorrow. Policies that undermine competition today will strengthen political pressures for regulation tomorrow. An earlier generation of free-market economists understood this. And one way or the other, it’s a lesson we’re going to learn again. I just hope we don’t have to learn it the hard way. In the conclusion of my interview with James Bessen we talk about the difficulty of measuring software-driven economic growth, a topic I’ve written about before. Timothy B. Lee: How should we think about the value that consumers get from the rapid technological changes you’ve described? James Bessen: Cowen argues that innovation today isn’t the same quality as it was in his grandmother’s day. I think you have to be very careful about that because while it’s true that innovation today tends to be qualitatively different in a couple of ways, that doesn’t necessarily mean it’s any less significant. The innovations of a hundred years ago were a lot about the mass production of standardized goods. You think about the automobile or electrical appliances, these were things that affected most people and so you can look at an invention from that time, like the automobile was something that most people eventually used. Electrification was also something most people used. It affected most lives. That was because these were standardized products produced for a mass market. In contrast, information technology is about meeting custom needs. It allows things to be tailored. One of the things that the desktop publishing revolution did was that it allowed tailored advertising. Software allowed A&P to target advertisements very finely. They could work from a database, track the items, automatically modify the flyers that were going out to each neighborhood—geared to the demographics of those neighborhoods and the particular things they were selling in those stores. It all worked in a very efficient way. It would’ve been possible to do that before, but it would’ve been way too costly. This is an example of flexible manufacturing, which is also useful in terms of producing goods that are tailored to peoples’ needs. Today’s super markets carry 50 times as many items as the grocery store of 80 years ago. That’s made possible by flexible manufacturing, computerized logistics, inventory control. Supermarkets have computerized systems for keeping track of what’s being sold at the register, what’s being shipped from the warehouse, and so forth. 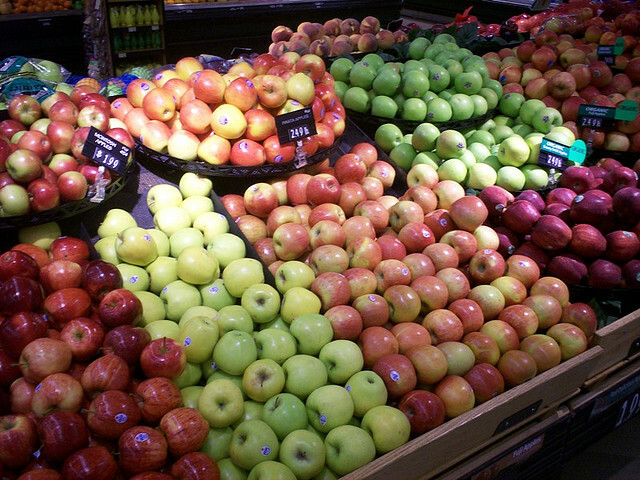 Last time I was in the supermarket, I counted and I think there were 12 kinds of apples, 10 different tomatoes, etc. Which I’m guessing would not have been true in the 1970s. I remember when I was in college, I went to dinner at a friend’s house. They were Italian, and we had to go down to the North End in Boston to get Italian sausage with fennel seeds. Now you can find that all over the country in all sorts of neighborhoods. Obviously somebody is buying these things. None of these things affect most people like the automobile did. But most people are benefitting from some of these things. So it’s a qualitatively different technology. It’s much harder to measure its impact, with all of these products. It’s very hard to judge what the different qualities of those 12 types of apples, or 20 types of olive oil, or whatever it is. This must make it hard for the statisticians at the Beureau of Labor Statistics to compute inflation rates. It’s an impossible problem to measure those things. Quality change is difficult enough to measure for something like an automobile or a computer. Here you’re talking about two orders of magnitude more products. So in a sense, innovation and technological change have a very different feel today than they did in Grandma’s day, but that doesn’t mean that they’re anything less. One of my favorite scholars is James Bessen, a lecturer at Boston University and a fellow at Harvard’s Berkman Center. A Harvard graduate, he founded a company that created one of the first desktop publishing systems and helped revolutionize the publishing industry. He sold that company in 1993 and has since become a self-trained academic economist. Some of his most important work has been on patents. He wrote an excellent paper on software patents with future Nobel laureate Eric Maskin. And with Michael Meurer, he wrote Patent Failure, a fantastic book I have promoted at every opportunity. Patents are one aspect of Bessen’s larger research agenda, which is focused on understanding the process of innovation and the policies that encourage it. To that end, he has been doing some in-depth research into the history of innovation. 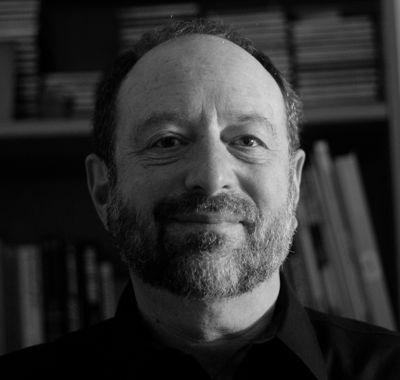 In this interview, he talks about his findings on the history of weaving technology, his own experiences in the desktop publishing industry, and what those experiences tell us about the alleged “great stagnation” of our own era. My questions are in bold, and his responses are in ordinary type. I’ll post a bit more of the interview tomorrow. Timothy B. Lee: I think a lot of people have a sense that the rise of the Internet and the software industry are pretty exceptional. On the other hand, Tyler Cowen has argued that the changes of the last 40 years are actually less dramatic than those of his grandmother’s lifetime. Where do you come down on this question? James Bessen: Cowen argues that we’ve picked all the low-hanging ideas and that we’re running out of good ideas. Other people have a sense that we’re sort of in the midst of a technological revolution. The central paradox is that for the past 3 decades, during the rise of the personal computer, wages, at least, have stagnated. There’s this sense that we’re doing all this innovation, we’re coming up with new technology, but we’re not seeing the economic fruits of it like we did in the past. So maybe this is just frivolous technology, not “real” innovation. Grandma got indoor plumbing and we’re getting social networking. Cowen trots out things like patent statistics, but he unfortunately gets it wrong. For starters, patents are not measuring innovation, they’re measuring industrial strategies. In terms of the number of patents granted, even just to domestic innovators, it’s at an all-time high. If you weight it per capita, it’s a little bit less than it was in the late 19th century, but not very much. So patents are not a clear indication of a great stagnation. But isn’t the relatively slow growth of wages and GDP evidence that we’re not producing as many good ideas as we used to? But if you look in the past, technology has never been about simple inventions revolutionizing society directly. It’s always been about them providing an opportunity, but that opportunity requires the development of all sorts of new knowledge by large numbers of people–people who are going to use it, people who are going to work with it, people who are going to build it, and that’s very often a process that takes decades. You’ve studied 19th century weaving technology as an example of this process, right?